Three months after the July cooling measures came into effect, the residential market was seen to pace itself to a new rhythm in Q4 2018 which will carry on into 2019. 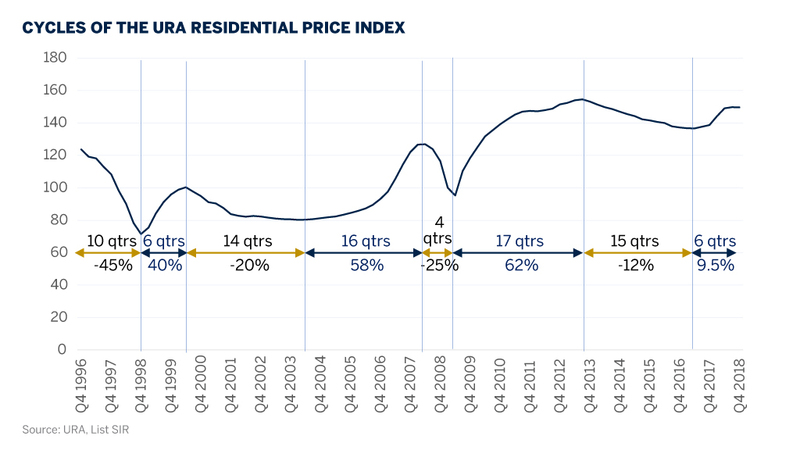 The URA private residential price index tilted to the negative after five consecutive quarters of positive growth. The 9.6% gained since the market bottomed out in Q2 2017 was scaled back to 9.5% when the index dipped by 0.1% q-o-q in Q4 2018. The Q4 2018 price index was dragged down by the prices of landed homes which fell by 2.0% and prices of non-landed homes in the Core Central Region (CCR) which fell by 1.0% q-o-q. However, the prices of non-landed homes in both the Rest of Central Region (RCR) and Outside Central Region (OCR) continued to rise by 1.8% and 0.7% q-o-q. URA also reported that developers launched 1,657 new homes for sale in Q4 2018, less than half of the 3,754 units launched in Q3 2018. They sold 1,836 units, including those from projects already in the market. In Q3 2018, developers sold 3,012 new homes. This shows that developers were “drip-feeding” the market, releasing units for sale according to what the market could absorb. Based on full project size, the take-up rate of new projects launched in H2 2018 was around 34%, down from 44% for new projects in H1 2018. New home sales totalled, 8,795 units, 17% lower than the 10,566 new homes sold in 2017. Interest in new landed homes picked up through the year. With over 3,000 sq ft of living space and four or more bedrooms, they are attractive to multi-generational families and beneficiaries of en bloc sales. 54 terrace houses at Nim Collection, a 99-year leasehold landed project, were sold at $2.6 - $4.0 mil. 32 strata terrace houses of freehold Belgravia Green were sold at $2.7 - $3.7 mil. 44 terrace houses of freehold The Springside (completed) were sold at $2.3 - $4.5 mil. All in, landed transactions made up some 10% of total housing demand. Major new projects launched in Q4 2018 included Parc Esta (1,399 units), Whistler Grand (716 units), The Woodleigh Residences (667 units) and Kent Ridge Hill Residences (548 units). Except for The Woodleigh Residences which was priced higher at $2,000 psf, the other three which were priced between $1,350 and $1,700 psf achieved a take-up rate of 24% to 32%. Another notable new project in Q4 2018 was 3 Cuscaden (96 units), located in prime district 10. Priced at $3,580 psf, 22 units of one- and two-bedders were sold. In the secondary market, sales volume in Q4 2018 fell by 26% q-o-q to 1,971 units. The total of 13,009 resale transactions for the whole 2018 reflected a 7% fall from the 14,043 homes sold in 2017. Sub-sale activity, a barometer of speculative activity, remained muted with 53 transactions in Q4 2018 and totaling up to 335 for the whole year. There were 401 sub-sales in 2017. Summing up for the whole year, total housing demand stood at 22,139 homes, 11% lower than the 25,010 homes which were sold in 2017. Notwithstanding the lower sales volume in 2018, the profile of buyers in both years was similar. In 2018, 78% of the buyers were Singaporeans and 15% were permanent residents (PRs). This compares with 77% Singaporeans and 16% PRs in 2017. The proportion of foreigners was 6% in both years. 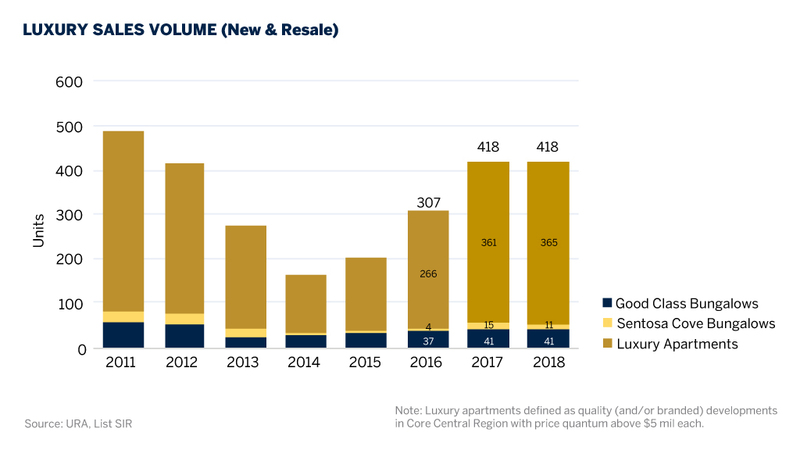 The luxury market appeared resilient with 12 Good Class Bungalows (GCB), four bungalows in Sentosa Cove and 75 luxury apartments sold in Q4 2018. 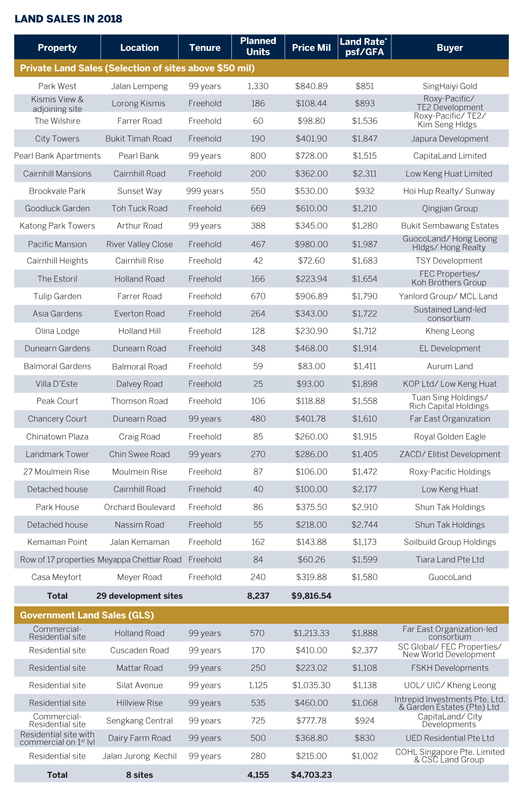 This level of sales was similar to Q3 2018 which saw 13 GCBs, one Sentosa Cove bungalow and 61 luxury apartments sold. For the whole year, 418 luxury homes were sold, same as the number in 2017. Significant luxury apartment deals during the year included the sale of a 7,836 sq ft penthouse on the 35th level of New Futura for $36.3 mil, a 7,287 sq ft penthouse on the 23rd level of Gramercy Park for $24.5 mil and a 6,641 sq ft apartment on Level 1 of Bishopsgate Residences for $24 mil. As foreigners and PRs are not allowed to own GCBs, most of them invest in luxury apartments. Typically, they represent 55 – 60% of the buyers while Singaporeans make up 35 – 40%. We are aware that there are some ultra-high-net-worth foreigners looking to purchase GCBs once they get their citizenship. Population statistics released by the Prime Minister’s Office in September 2018 revealed that foreign employment saw a reduction of 10,000 places. This could be part of the reason for the weakening rents as shrinking expatriate demand coupled with high completion numbers translated to over supply. The residential rental index turned south in Q4 2018 after three consecutive quarters of positive growth. It registered a q-o-q change of -1.0%, shaving off part of the 1.6% gain since end-2017 to a final 0.6% y-o-y gain. Rents for landed and non-landed homes fell by 2.1% and 0.8% q-o-q in Q4 2018. 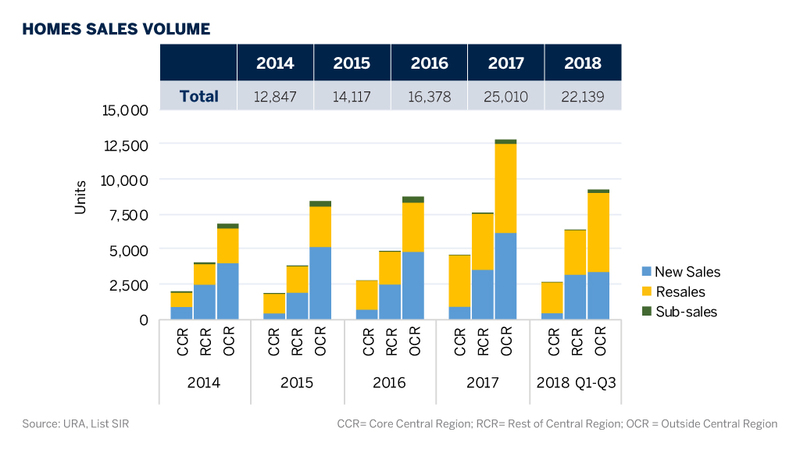 By locality, the OCR rental index saw the largest decline of 1.7% q-o-q, followed by a 0.5% and 0.1% fall in the rental index for RCR and CCR respectively. The larger correction in OCR could be attributed to increased competition as more new projects were completed such as Kingsford Waterbay (1,165 units) and North Park Residences (920 units). Other major completed projects include Principal Garden (663 units), City Gate (311 units) and The Poiz Residences (731 units). Statistics from the URA showed that 4,720 new homes were completed in Q4 2018, bringing the total completions for the year to 9,112 units. This is 44% fewer than the 16,449 units completed in 2017, thus reducing the number of vacant homes to 23,596 from a high 28,560 a year ago. The vacancy rate was 6.4% at end-2018. The supply in the pipeline built up rapidly, as more en bloc sales were approved by the Strata Titles Board. The URA reported that there were 51,498 units with planning approvals. 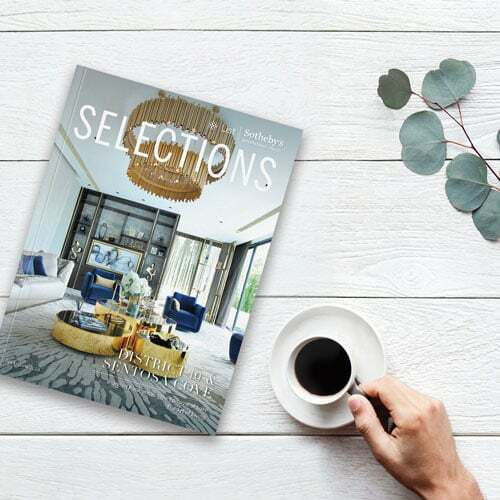 New projects which obtained some approval in Q4 2018 were Holland Road project (559 units), Hillview Rise project (564 units), Sunset Way project (648 units), Sengkang Central project (682 units), Silat Avenue project (1,101 units), Parc Clematis (1,468 units) and Treasure At Tampines (2,203 units). 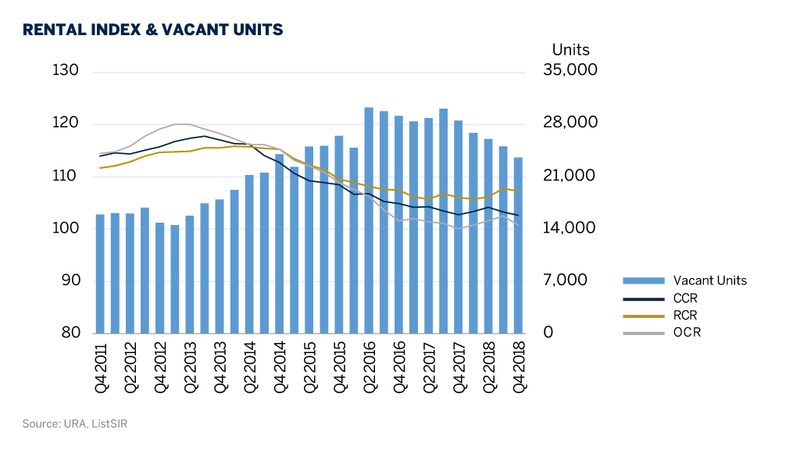 Of the 51,498 units, 34,467 units (67%) were unsold as at end-2018, nearly double the 18,891 units a year ago. Among the unsold units, 19,415 units (56%) were from projects that were either launched or not launched yet. The remaining 15,409 units (44%) were not launched as these projects did not have the prerequisites for sale. After the cooling measures came into effect on 6 July 2018, the last five en bloc sales took place in July-August before they died down. Compared to a bounty crop of 39 sites which raked in an investment value of $10.49 bn in H1 2018, the five sites were sold for the total sum of $468 mil in H2 2018. From the government’s confirmed land sales programme, seven sites worth $3.61 bn were sold in H1 2018. In H2 2018, four sites were sold at the price of $1.82 bn. 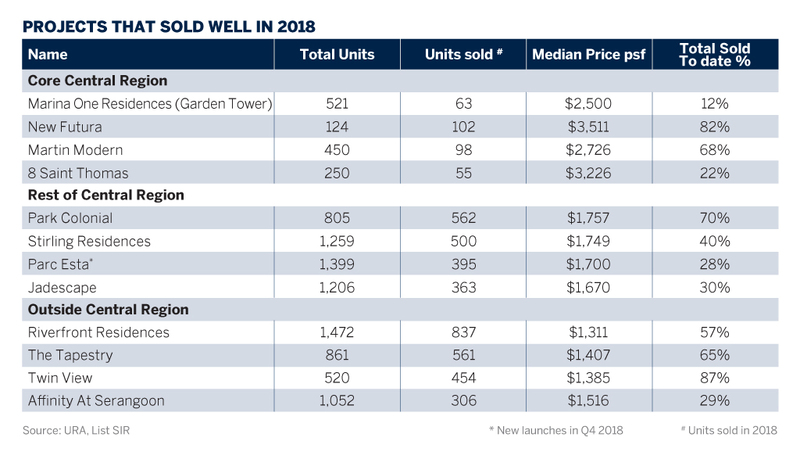 The sites sold in H1 2018 could potentially yield 12,000 new homes, of which 85%was contributed by en bloc sales sites. From the sites sold in H2 2018, the en bloc sale sites contributed 56% of the new supply of 2,500 units. With six months of understanding how the new measures work, the residential market is ready to start a new cycle. While the measures have put a dampener on the sharp V-shaped upturn in home prices that lasted from Q3 2017 to Q2 2018, they are aimed at creating a gentler U-shaped upturn that benefits all parties in the longer run. The higher acquisition and construction costs helped to curb developers’ hunger for development sites. 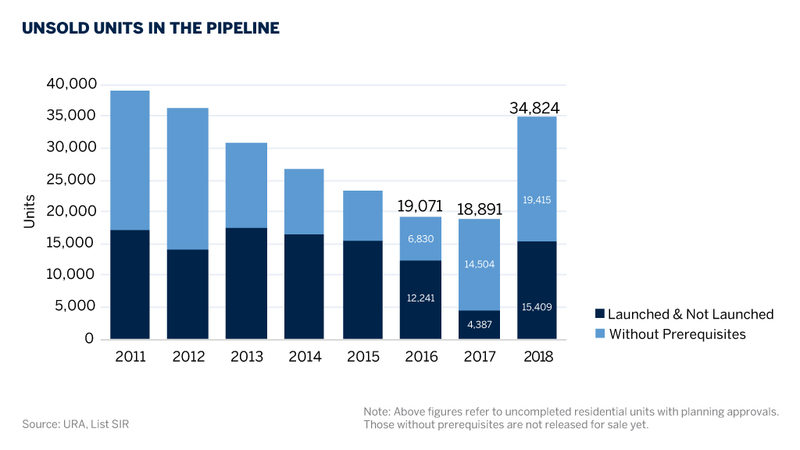 As the en bloc wave has died down, it will enable the current potential supply to be spread out over the next few years and allow time for the market to absorb the units. We expect the growth of home prices to hover between -2% and +2% in 2019. Demand for new homes is likely to remain around 9,000 - 10,000 units, dominated by sales from mega-projects located in RCR.